Hello everyone, and welcome to the week! It’s time once again for our look back at the noteworthy updates of the last seven days. Wow, this is quite the list of updates this week, my friends. I’m almost overwhelmed at the breadth of games that got some kind of content update or fix, and I’m not even including the ones that have minor patch notes. Of course, you can keep an eye out for updates yourself using AppShopper Social (Free), the watchlist in the TouchArcade App (Free), or by participating in the TouchArcade forums, but this weekly summary is here to fill in the things you might have missed. Let’s dig in! Star Wars Rebels: Recon Missions, Free Games that are free with an IAP unlock are pretty well-liked around here, but they tend to face a very serious problem out in the actual marketplace. They tend to get review-bombed in the App Store by people who feel tricked, or something like that. If I had to guess, that’s probably why the latest update to the great Star Wars Rebels changes things so that you can play the whole game with Ezra for free. You’ll have to deal with a few ad videos to do it, though. In other news, a new character, Zeb, is available for purchase for $1.99. The previous special characters, Kanan and Sabine, are now available for separate purchase for the same price. Candy Crush Soda Saga, Free I’ve made some big progress in this one recently after being stuck on level 195 for a while. Sadly, it looks like I’m still falling behind, because King has added 15 more levels to the game with this update, bringing it up to 375 levels in total. These levels add an eighth candy, dramatically decreasing the odds of making successful matches. Oh, goodie. Dungeon Link: Adventure RPG, Free Lots of fixes and changes in this version of Gamevil’s recent release. 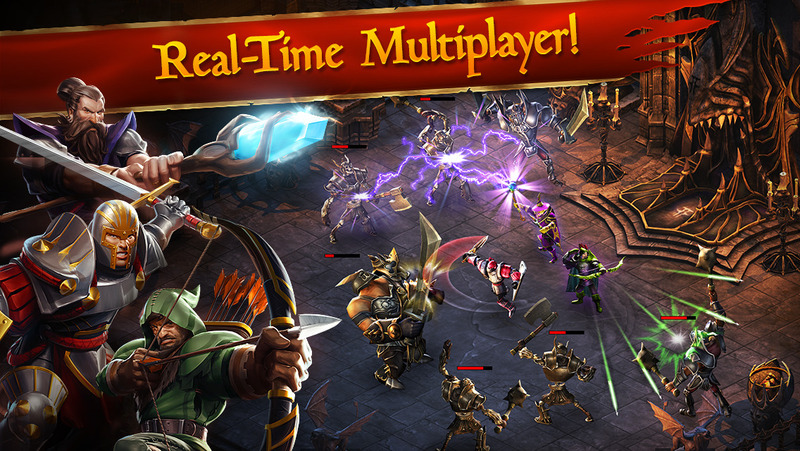 On the technical side, the game’s install size has been reduced considerably, with cutscenes and monster animations removed entirely for those playing on the iPhone 4S or older hardware. Apart from that, the Tower Of Magic has been added, along with a quest associated with it. PvP has been rebalanced, with healing now more effective than before and many offensive skills made less effective. There are some new characters, including one new story hero, Rin the Kung Fu Girl. She was bitten by a radioactive Kung Fu while watching a Kung Fu exhibition, and afterwards gained the proportionate strength, speed, and agility of a Kung Fu. 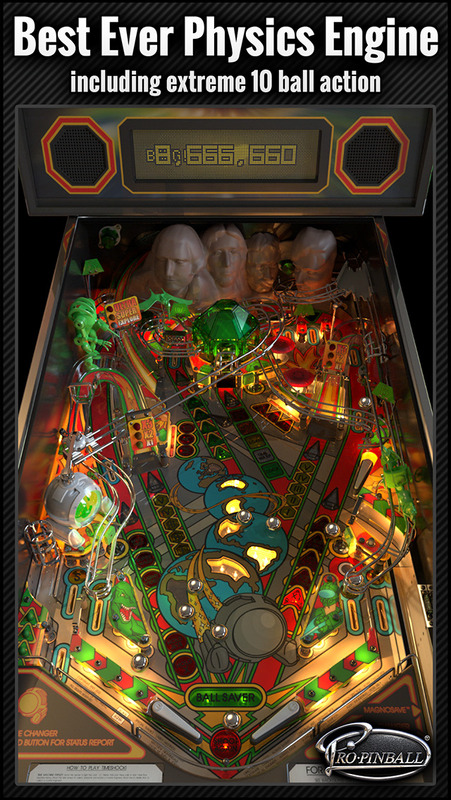 Pinball Arcade Plus, $0.99 Hey, a Pinball Arcade update! Always exciting to see. Did they fix any bugs? No, it doesn’t look like it. But hey, at least there’s a new table to buy, Xenon, originally released in 1980 by Bally. It’s an okay table, and I suppose if I saw it sitting by itself in the corner of a pool hall, I’d probably drop a coin in it. If it were next to about 30-40 of the best pinball tables of all-time, I’m not so sure I’d actually bother with it, but every table is someone’s favorite, I guess. Tank Battle: North Africa, $2.99 Well, it’s not the biggest update, but Tank Battle: North Africa is sporting a brand new mission along with a bevy of bug fixes. It’s kind of weird to see Hunted Cow’s older games getting new content updates so long after the fact all of a sudden. I guess maybe the Tank Battle series is reaching some kind of saturation point, which is why missions are being added to the older ones instead of being released together as a new game, but that’s merely a guess. Shoot The Moon, Free Pure hatred is when beating your enemy is not enough on its own, and instead you have to dress him in silly and humiliating costumes while you beat them. I hate the moon, friends. I appreciate its work in keeping the tides going right and all that other stuff, but the singing is just too much. Fortunately, this game allows me to get back at a virtual version of that accursed space rock. This version has two new costumes to dress the moon up in, along with performance improvements, 64-bit support, and slightly reduced full-screen ad frequency for those playing for free. Pocket Mine 2, Free Pocket Mine 2 is getting to be a pretty frequent part of Update Mondays. The latest update adds a new mine called the Memory Mine, which apparently has you completing the word of the day? I’m not sure exactly, to be honest. The developer has also tightened up the loading time on the museum screen, since it was a bit on the long side. 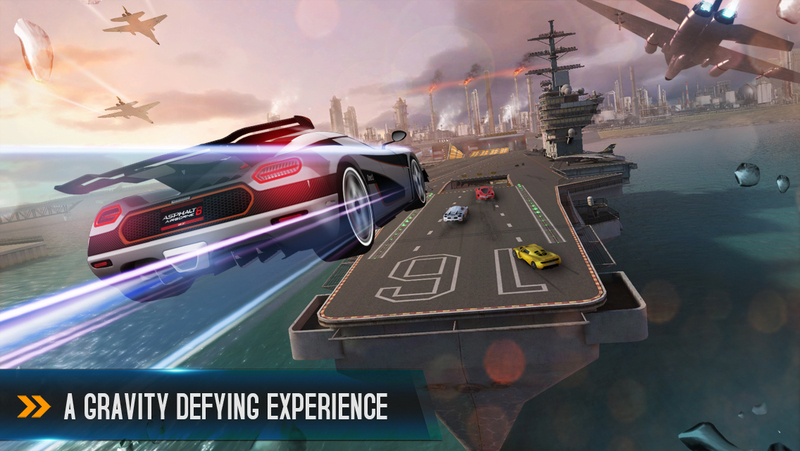 Asphalt 8: Airborne, Free Asphalt 8‘s latest update is a pretty big one. There’s a new location with four new tracks, eight new cars including the Lamborghini Aventador and the Audi R8 LMS Ultra, some new decals, and a big bump for multiplayer events to allow up to 12 players to race. Plus, the game now features 64-bit support, and Apple Watch compatibility so that it can bother you with notifications anytime, anywhere. Modern convenience! Football Manager Handheld 2015, $8.99 Football Manager, or as I like to call it, “Candy Crush For The Commonwealth“, received its third update of the season last week. It’s a lot of fine tuning more than anything else, with match speeds tweaked, improved role behaviors, and a handful of fixes to some weird bugs. You know, this is technically an RPG of sorts. I should write it up for the RPG Reload someday. What do you gentle readers think? Drylands, $2.99 Drylands is a really cool game, but the launch version had some serious problems, leading the developer to yank it off the App Store. Well, it’s back, with all of the known problems fixed. The developer also took the opportunity to make some improvements to the game’s combat system based on player feedback. It’s awesome, make sure you check it out. Frozen Free Fall, Free Hmm, I’m of two minds here. It’s great that Frozen Free Fall has added 45 new levels, but I’m not sure how I feel about these new little Snowgie creatures. They look like souls of the damned, which is what we all are if we have to hear that accursed song just one more time. There’s also a new mode called Ice Cream mode, where you have to collect scoops of ice cream to make a full cone. I guess it fits the theme well enough. Taichi Panda, Free Taichi Panda, who I assure you is no relation at all to that other martial arts panda, is the star of a surprisingly decent free Diablo-style dungeon crawler. The update adds a new equipment discovery system that allows you to increase the quality of your gear. There’s a new level cap, two new chapters to play through, a mega boss team mode, and various improvements to the UI. Definitely more exciting than the game based on Taichi’s cousin, Tossing Cards Into A Hat Grizzly. Angry Birds Transformers, Free I’m not even mad that this game’s App Store description grabs one of my quotes completely out of context. I’m actually kind of impressed. Anyway, the game continues to see some improvements that will hopefully move it closer to the side of the angels. The big news in this update is the arrival of Arcee and Airachnid, who can be unlocked if you win certain missions. There are new special missions you can send your bots on to earn goodies while you’re not playing, and some new materials added that you can use to upgrade your team. On the negative side, this update seems to have broken the game, so I can’t verify any of the information I just gave you! Alright, roll out! Terra Battle, Free We already told you last week about Terra Battle finally adding some of the content promised by its download goals, but there are a couple of other points worth mentioning in this update. First, a quick match mode has been added to co-op battles, which should make it easier to get into when you’ve only got a short time. Best of all, you can play a random quest even if you have zero stamina, though with significantly reduced rewards. Still, pretty cool! There are also a couple of tweaks and balances made to certain abilities to make them stronger. KingsRoad, Free I can see already that KingsRoad is going to be a regular fixture around here. The latest version adds a new Platinum difficulty level in case you were finding the game too easy. It will be used in tournaments, starting with the Blackthorn Tournament that will get underway next week. There’s also a new item type, Talismans, which can boost your stats. Finally, a handful of unspecified bug fixes and performance improvements. I really don’t like that there isn’t a space between the two words in the title. In a perfect world, I’d like an apostrophe, too, but this world of ours is far from perfect. Scribblenauts Remix, $0.99 Holy smokes, Scribblenauts got some new levels! It’s been more than a year since the last new levels were added, even though the game does a cosmetic update every couple of months. There are 20 new levels to play around with, but looking back on this game’s content update schedule, I suggest you digest them slowly. BIT.TRIP BEAT, $0.99 The surprises keep rolling in! BIT.TRIP BEAT was broken by iOS 8, and like many I’d assumed it was going to be left abandoned like poor old BIT.TRIP RUN! ($2.99) appears to have been. Well, imagine my shock when the update hit for both this and the free version, adding in support for both iOS 8 and the iPhone 6 family. Fantastic! Now, about those last two “Coming Soon" worlds of BIT.TRIP RUN!, Gaijin Games/Choice Provisions? Strike Wing: Raptor Rising, $2.99 Here’s a big free update, in Cheerful Crescent Moon Games style. Episode 2 has arrived, giving you more story content to play through. Naturally, there are some new enemies, new ships, five tough challenge missions, and a whole mess of new achievements. On the technical side, the text size has been increased and made more readable, and some serious performance improvements have been made in locations with big star-bases. The Operation Lifeblood mission got some specific attention to correct some issues with the visuals and overall stability. Crossy Road, Free So, the news that the Crossy Road developers are hooking up with Namco to make what is basically Crossy Pac-Man is pretty exciting, but that’s not the only respected license Hipster Whale is working with. The latest update to Crossy Road adds a couple of characters who seem to have gotten lost on the way to Pop’s Chocklit Shoppe, among a few others. There’s a new quest system added to the game, too. Now we play the waiting game for Reggie Mantle to be added. Bike Baron, $1.99 Bike Baron is a pretty nice Trials-style game that’s jam-packed with content at a good price. The new update adds five brand-new levels and a couple of tweaks to the user interface. These new levels bring the total in the game up over the 145-level mark, and there are something like half a million user levels in case those aren’t enough for you. It’s awesome to see it still getting content updates so many years after release. Duet Game, $2.99 Duet Game has some significant new content as of the latest update. There are two new modes in the game, and both of them are pretty exciting. Those who haven’t yet bought into the Encore Chapters IAP can get a taste with the Endless Encore mode, which throws together features from those chapters into a new, fast-paced score attack mode. The new Speed Run mode challenges you to get through any completed story modes as fast as you possibly can. The game speeds up as you go, with mistakes slowing you down. Getting the best time depends on you not making a mistake as things get faster and faster. Good luck! Pro Pinball, Free A short but sweet update that, like Star Wars Rebels, is probably meant to cut back on negative reviews on the App Store. Previously, the free version of the game only allowed you to play Timeshock! until you reached a certain score, similar to the trials found in Pinball Arcade. Lots of people got cranky about that, so the free version of the table now allows you to play as long as you want, albeit with ad support. Hopefully that works out better for Barnstorm, because I’d really like to see this collection keep on going. The developer also took the opportunity to address a bug that was preventing some high scores from posting to the leaderboards, so I guess this is a win all around. Looney Tunes Dash!, Free Road Runner, the Coyote’s after you, Road Runner, if he catches you you’re through. In the new version of Looney Tunes Dash!, you have to help Road Runner stay one step ahead of the clever-yet-constantly-failing Coyote in 15 new levels. This update also introduces events where you can win prizes in special weekly or bi-weekly challenges. You know what, Zynga? Let me play as the Coyote. Let me catch the Road Runner, and let me eat him. I will pay cash money. I will go full whale for that. World of Tanks Blitz MMO, Free When it comes to tanks, some countries have more to offer than others. One of the tops is obviously Germany, so it’s nice to see another branch of German medium tanks hit World Of Tanks. Other than that pretty important addition, the developers have also done some improvements to the game’s interface, along with some balance adjustments to certain tanks. A nice update for what is, in my opinion, one of the better free-to-play games on iOS. Lastronaut, Free There’s a new progression system in Lastronaut where you can earn experience points to level up, which unlocks some perks. Along with that significant change, there are some new suits you can buy if you want your Lastronaut to look more like a Nowstronaut. A few options have been added in that allow you to mess around with the audio settings and disable the sometimes-distracting slow-motion effect. Of course, there are also plenty of bug fixes, too. Can’t have an update without those. Junk Jack, $4.99 Hoo boy, this one is a doozy. Junk Jack X now has electronics, which opens up the crafting possibilities considerably. Since almost everyone will use that to build lights, the developers have also completely rewritten the game’s lighting engine, giving the game a beautiful new look. You would think that would be more than enough for one update, but no. The lunatics at Pixbits have also added an entire new planet, an aquatic place called Thetis. So of course there are also new monsters, fish, trinkets, plants, weapons, and a lot more. This update adds more in one shot than most games add in a lifetime. It’s so amazing, so spectacular, so sensational, so… web… of, that I’m giving it the coveted Update Mondays Most Spider-Mans Of The Week award! Plunder Pirates, Free Well, everyone, looks like we made it through this Update Mondays without any mention of… oh wait, we have one more game left. Plunder Pirates has seen a lovely update that adds guild “rumbles". Sigh. Okay, guilds can battle, sorry, rumble other guilds to see whose guild is the guildiest. Have fun, everyone. Next PostNext Happy Memorial Day!